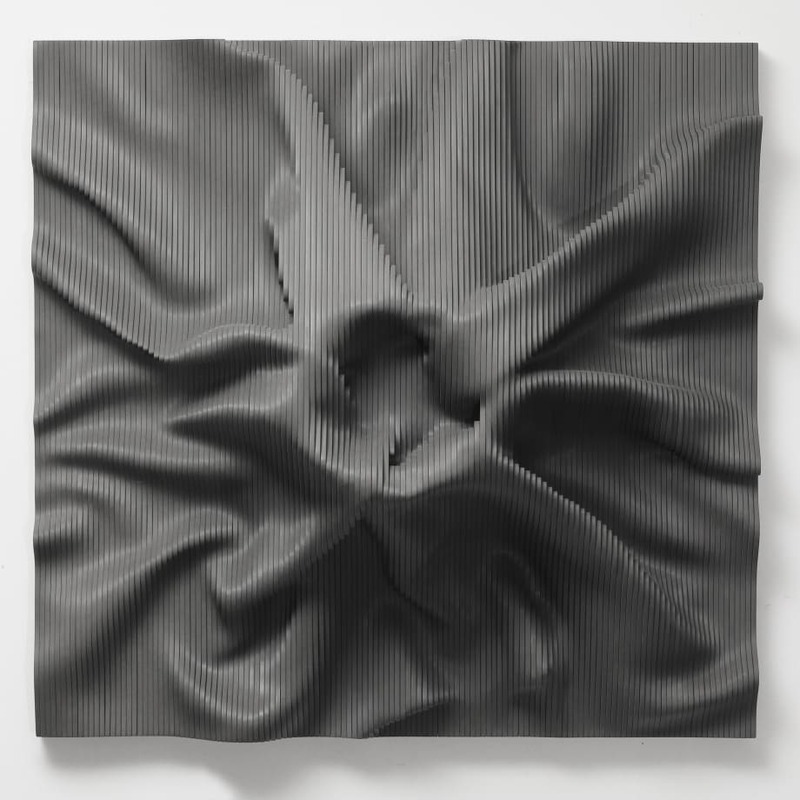 Pontone Gallery is delighted to exhibit works by acclaimed Korean artist Cha Jongrye. Exhibited worldwide, this solo show will be Cha's first with Pontone Gallery, presenting an exciting showcase of her innovative sculpture. Using wood as her chosen medium, Cha constructs seamlessly intricate wooden landscapes by sanding and layering hundreds of delicate wood boards. Her process is intentionally unintentional; rather than executing a predetermined design, she allows herself to discover images in the fluidity of arranging and rearranging the uniquely hand-shaped blocks. The result is a richly textured three-dimensional canvas upon which light and shadow dance, transforming the once-recognisable wood material into entirely abstracted landscapes reminiscent of wrinkled linen, rolling sand dunes or rippling water.